Since both Pioneer Woman and Thomas Keller have published recipes for chicken pot pie, and given they occupy opposite ends of the culinary spectrum, I thought it would be illuminating to bake their pies and compare. So we held a pot pie party the other night. One Safeway rotisserie chicken yielded enough meat for both pies. Unsurprisingly, the pot pie from Pioneer Woman Cooks was a breeze to make, as Ree Drummond is all about the breeziness. You saute vegetables (frozen peas, carrots, celery, onion) in butter, toss in some flour, shredded chicken, broth, a bouillon cube, and cream. Briefly simmer, then pour into a pie plate. Pioneer Woman calls for just a top crust, which she makes with flour, shortening, and an egg. I did not enjoy working with this sticky, unwieldy dough and would not use her crust recipe again. Total number of pots, bowls, and other cooking vessels PW calls for: 3. Unsurprisingly, the pot pie from Ad Hoc At Home was painstaking, as Thomas Keller is all about the pains. You blanch vegetables (potatoes, carrots, celery, pearl onions) in four separate saucepans, then make a bechamel that reduces for 40 minutes (an eternity when you're trying to keep milk from boiling over) and requires much subsequent pot-scouring. The all-butter double crust, however, was very straightforward and user-friendly. That recipe is a keeper. Number of pots and vessels Keller calls for: 10. For fun, I also heated a bunch of frozen pot pies. Sadly, I forgot which was which after I took them out of the boxes so we couldn't really rank them, though it hardly matters. My husband and brother-in-law got all misty gazing at the boxes and reminiscing about their bachelor days, but the frozen pies? Universally nasty. In isolation, I'm sure they taste fine, but sampled side-by-side with homemade pies, they were noisome. As Isabel said, "It's like they have water in them." That sounds weird now, but in the moment, tasting the storebought pies, I knew exactly what she meant. She used to wear that little purple suit. So, both of the homemade pies were hands down more delicious than any of the storebought pies. Deciding which of the homemade pies we liked better presented more of a challenge. The crust on Thomas Keller's was flaky, almost like a croissant, very buttery. Everyone loved this crust. There was also unanimous agreement that a pot pie needs a bottom crust, which his has and PW's doesn't. The interior of his pie was firm and cohesive so you could actually cut it into neat slices, though some critics thought the filling lacked flavor. My mother: "I liked the potatoes in the first one (Keller's), and the crust was unbelievable. But I liked the second one (PW's) very much. They both needed more vegetables." Justine: "I want the two pies to get married because Thomas Keller crust is fantastic, but I wish it had fewer potatoes and more flavor and was maybe a little runnier." Fastidious Isabel, gesturing in disgust at the soupy Pioneer Woman pie: "This is why I don't like chicken pot pie!" Owen had a similar reaction and refused to even touch the PW pie: "You know I don't like soup." However, the two adult males at the party, both of whom consider themselves pot pie experts, praised Pioneer Woman's pie. Brother-in-law: "The critical issues with both of these is they're not in individual portions! They're not supposed to be actual pies, they're SUPPOSED to be soup in a crust." My husband agreed. I don't have any quotes from him because he was to busy shoveling pie into his mouth. You know what word I detest and can't even use except to say how much I detest it? Pie hole. We held a vote. Keller got four votes, though Justine was a pretty wobbly supporter. Pioneer Woman got two votes, and there was one abstention. Given that he is Thomas Keller, I think this is a win for Pioneer Woman. Or at the very least, a tie. For the record, I was staunchly in the Keller camp. But I was thinking later how very little I love chicken pot pie, even an elegant Thomas Keller pie that involves ten cooking vessels and a 40-minute bechamel. I'd rather consume empty calories in the form of potstickers, cheeseburgers, BLTs, potato chips, manhattans, or blue Shropshire cheese. I'm just not that into chicken pot pie. Still, it was a fun party. I love the comments from Owen and your brother in law. "you know I don't like soup!" and "it's supposed to be soup in a pie"!! Growing up at my house, your pot pie(whether homemade or from a box)was called a meat pie(which is what most people call the turnover-y pastry things eaten out of hand, I guess), because I come from stout and sturdy Pennsylvania Dutch stock, and pot pie is sort of like a soup, with little dumpling noodle squares, potatoes and some sort of meat, usually ham for us, but certainly chicken or turkey for others. I actually love all three, regardless of what they are called. I adore chicken pot pie. Two crusts, no bouillon, not too soupy or too thick, but no 10 pans, either. Your sister is right--they should get married. When I was nine, my best friend's mom was a rocket scientist(seriously, she works for NASA), but was probably one of the worst cooks in the world. She could cook about four things(badly), and so they just had those same four things over and over, with takeout and cold cereal thrown in for good measure. One of the things she could "cook" was chicken pot pie. She unrolled a tube of crescent rolls, pressed it into a pie plate, poured in two cans of Dinty Moore chicken stew, unrolled another can of crescents over the top, cut little slits in the top and baked until it bubbled out of the slits and around the sides and started to burn on the bottom of the oven. She would very kindly invite me to dinner, and I was always like "Oh, I think my mom is calling me...I have to go now!" You should marry them for us! Keller crust, PW seasoning, half way between a liquid and a solid and more veggies. 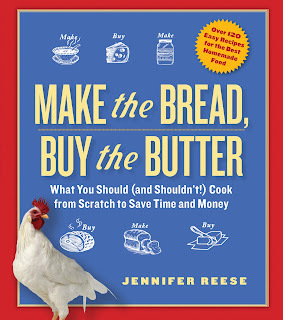 You can do your own America's Test Kitchen! I also wanted to note that Pioneer Woman's cookbook seems to be targeted towards adult male tastebuds. Just what, exactly, is this Pioneer Woman pioneering? The best chicken pot pie I've ever made is the Cook's Illustrated recipe with a basic pate brisee crust. I haven't attempted Tom's yet, but having made several other things from AHaH, I chuckled heartily at the number of pots and time required by his. I don't think you can call it chicken pot pie if it takes 10 pots - chicken pot pie is what you make quickly with the leftovers....and the crust is the best part.....maybe you should make it with that before mentioned can of mushroom soup. and i love the photo of the pot pie which says pot pie on it. sweet! "You know I don't like soup." Classic. The occupation outlook for chefs, restaurant managers, dietitians, and nutritionists is fairly good, with "as fast as the average" growth. Increasingly a college education with formal qualifications is required for success in this field and I really believe in this kind of informations, and we need more websites like this one.